No one can be completely prepared for disaster property damage. During fire damage, flooding, mold growth and severe storms, you may be overwhelmed. 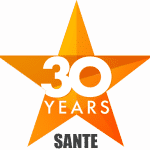 At Sante Property Damage Reconstruction, we have 30 years of experience handling property damage disasters. Our emergency services are available 24/7 to get a qualified team on your side. Whether you have a commercial property or a family home, we can get to your structure fast. Sante knows how to stabilize and secure properties with damage. We will stop the spread of fire and water damage. Protecting the property against vandalism, we offer board up services. Our property damage reconstruction is a complete solution. Familiar with insurance companies, we can help with documentation and claims. The sooner you act, the more you’ll save. Contact Sante Property Damage Reconstruction to get more than three decades of experience on your side. Even the most protected structures can experience disaster property damage. If you are facing water damage, mold growth or fire damage, Sante is available immediately. Our trained technicians are prepared to stabilize any situation safely. 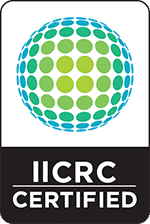 Licensed and insured, we are a qualified property damage reconstruction company. Our deep roots in Willington mean we care about the community’s homes and businesses. Don’t hesitate to call our customer service. Sante is on hand day or night for disaster property damage repairs. Prepared for the worst, Sante Property Damage Reconstruction specializes in fire damage repairs. Our emergency services are available 24 hours a day, seven days a week. Smoke and soot spread quickly. The sooner you contact us, the more damage we can stop. We understand the nuances of fire damage reconstruction. We will eliminate issues like firefighter water damage, odors, and moisture problems. If you are overwhelmed, put your trust in our licensed fire damage repairs. Whether from a slow plumbing leak or sudden natural flooding, we know water damage. Our professional services are equipped with the latest tools to eliminate moisture, odors, and humidity. We sanitize water damage. Licensed and insured, we work with insurance companies to help you. Our top rated water damage reconstruction solves future problems other companies leave behind. Sante Property Damage Reconstruction is Willington’s trusted source for water damage and flooding repairs. Don’t wait to deal with mold damage repairs. Sometimes dangerous, mold elimination is serious. Sante knows how to contain the area while working to protect air quality and health. Solving mold at the source, we stop moisture, humidity, and leaks. This will keep mold damage from returning. After we have contained the space, we completely sanitize mold growth. This results in a lasting mold damage repair for home and business owners. Sante offers free estimates for any project. Extreme weather can happen to anyone. Our storm damaged property reconstruction handles it step by step. High winds, ice dams, tornadoes, and downed trees are dangerous. You want a professional storm damage repair team. Licensed and insured, you can trust our weather disaster service. Do you need help with insurance claims for storms? We are happy to assist our clients. Call our emergency customer service 24/7 to begin the process of storm damage reconstruction. At Sante, your business is our concern. We have 30 years of experience with commercial property damage repair. As a licensed and certified reconstruction company, our clients receive expert property damage solutions. If you have a damaged commercial property, we can help now with emergency services. Sante Property Damage Reconstruction is familiar with insurance companies and claims. We can assist with documentation and paperwork. Call us today for a free estimate on any commercial property damage repair. General contracting does not have to be a disaster! Licensed and qualified, we are fully insured and up to date on the latest trainings. Our equipment is an investment we take seriously. Between our tools and trainings, we are able to keep costs down and expertise high. Covering the labor, materials, and equipment, we are a comprehensive general contracting service. You can rest assured our craftsmanship is as solid as our integrity. Give our fast and friendly customer service a call for a free estimate personalized to you. At the heart of our success, Sante cares about the Willington, CT community. Our disaster reconstruction services include fire damage, mold growth, and storms. Flooding and water damage is no match for our tools and training. If you are in a property damage repair emergency, call us now. We are immediately available for licensed property reconstruction. Does your Willington Home or Business have Damage?